St. Gertrude the Great » Archive » St. James the Greater, Ap. St. James the Greater, Ap. As I write this, our Boys’ Camp plans are still evolving, but I am confident that our young men will have good fun and edifying days together this week. Please keep them in your prayers, as well as the fathers who are helping, and Fr. McGuire and Fr. Larrabee. Fr. Roger in France is having his camps now as well. They are far more serious affairs, lasting two weeks each for boys and girls. I am sure that our newly ordained Fr. Hecquard is already a big help to Fr. Roger in his very busy apostolate. I want to thank our cooks for cooking (in the Summer!) and kindly dropping off delicious meals for the priests. They are appreciated. Could you help from time to time? Just access our Cucina Clerical online, or (old way) call the office. Many thanks. 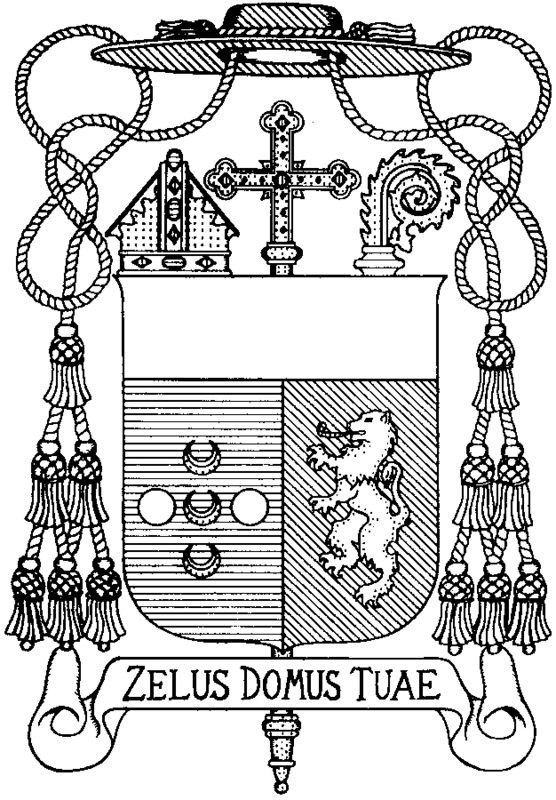 Bishop Sanborn has written another excellent newsletter for Seminary donors, in which he points out that Ratzinger is ever the modernist, although the Pius X Society seeks to portray him as Catholic. I hope to reprint some of this valuable information during August. You can receive this very important monthly publication by donating regularly to Most Holy Trinity Seminary. Let us support our future! Speaking of writers, we have another published author in our midst, in addition to Fr. Cekada. Donna Patton has written In Search for the Madonna, a childrens’ book many adults will enjoy. This book will also be available through the gifts shop. St. Francis De Sales, patron of Cincinnati and of writers, has certainly inspired some excellent writing of late. The last week of July opens with St. James the Apostle, and St. Christopher, both of whom are travel saints. May they, and all of Heaven, bless your travel and keep it safe, your Summer and keep it holy. Click the photo above for a slide show from our Summer girls camp and our St. John’s Eve bonfire. This entry was posted on Saturday, July 24th, 2010 at 10:55 pm	and is filed under Announcements.